Beta-cyfluthrin + Imidacloprid is a formulated mixture of insecticides, which could be used to control series of insect pests. 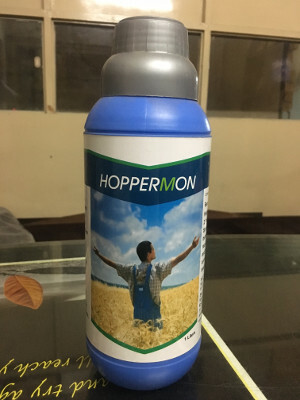 Beta-cyfluthrin is a insecticide effective against Lepidoptera, Coleoptera, Hemiptera and Homoptera on cotton, fruit, vegetables, cereals and other crops, at 7.5-20 g/ha. Also against migratory locusts and grasshoppers; and in animal health. Imidacloprid is used for Controlling of sucking insects, including rice-, leaf- and planthoppers, aphids, thrips and whitefly. Also effective against soil insects, termites and some species of biting insects, such as rice water weevil and Colorado beetle. Has no effect on nematodes and spider mites. Used as a seed dressing, as soil treatment and as foliar treatment in different crops, e.g. rice, cotton, cereals, maize, sugar beet, potatoes, vegetables, citrus fruit, pome fruit and stone fruit. Also used to controls fleas in dogs and cats. Applied at 25-100 g/ha for foliar application, and 50-175 g/100 kg seed for most seed treatments, and 350-700 g/100 kg cotton seed. Beta-Cyfluthrin is an insecticide of synthetic pyrethroid group. Beta-Cyfluthrin is acting by contact and ingestion. It acts on the insect's nervous system as sodium channel blocker. In the pest, rapid excitation and impairment of coordination are the first visible symptoms of intoxication, followed by knock-down and death. Imidacloprid is antagonist to the nicotinic acetyl choline receptor in the central nervous system. It disturbs the proper signal transmission system leading to excitation of nerve cell. Consequently a disorder of the nervous system occurs leading finally to the death of the treated insect.